This topic contains 4 replies, has 3 voices, and was last updated by Tijn 1 week ago. I actually started playing this game months, maybe even years ago. I made it all the way to the final world back then, so this time I only had 4 levels to do before I reached the end, haha. It’s not a very long game to begin with. There’s only 17 levels in total, and the last level only contains the final boss. The game is split into 4 worlds, so it’s 4 levels per world. Along the way your weapon and health are upgraded, but the enemies become better too. All in all the game is not too difficult though. It feels comparable to Prince of Persia imho. Surely you will die a few times along the way and will have to find your way through the largish maze-like levels. But at no point it’s really punishingly hard or unfair. The game feels really solid and well-made. The controls are tight, the presentation is great and it all just works well without any real problems. The only real ‘bug’ I encountered is how the big stone guys don’t always use all available floor surface when patrolling, often stopping at an elevator or another obstacle. This allows you to safely stand at a distance and fire away without any threat of getting damage, which is a bit odd. The main thing about this game is just how cool it is. The walk cycle, the long hair, the shotgun, the way you can shoot behind you without even looking, it’s all just very very cool. The world has a great mix of fantasy and sci-fi, which just adds to the coolness. What’s also cool is the vast array of different items you can gather and use through out the game. It starts out with bombs, but soon you’re flying remote-controlled wasps, turning on laser-powered bridges, setting man-eating plants on fire and levitating yourself to great heights. You have to be careful using these items though, because you can easily get yourself stuck if you’re wasteful. I really enjoyed this game. I did play it some when it came out, but never came very far back then. Playing it now, it’s not as hard as I thought it was, but a solid challenge nonetheless. A solid entry by Blizzard and above all just very, very cool. 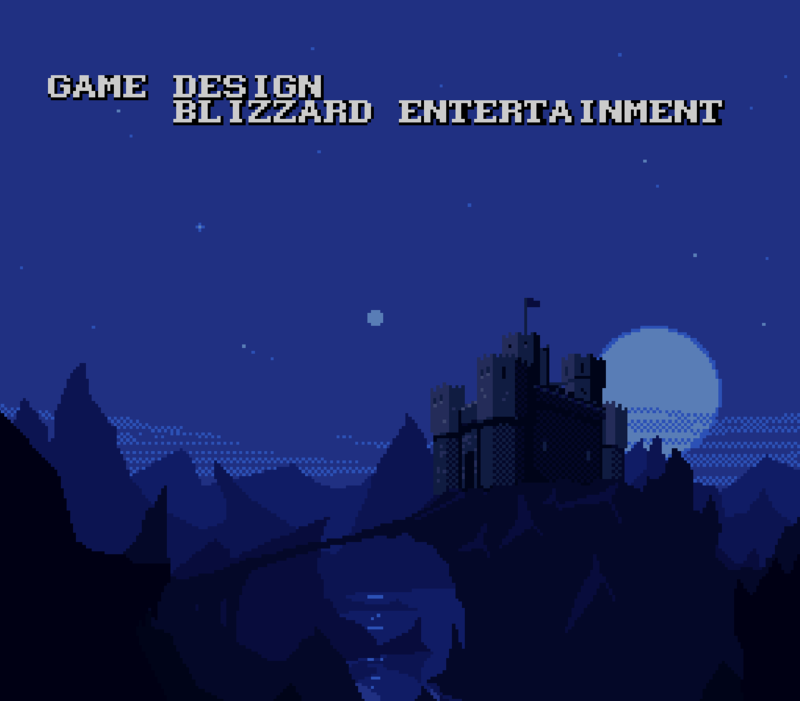 If you are feeling especially nostalgic, get the Sega 32X ROM, which has 4 additional levels in snowy mountains; if you don’t want to replay the first world, and only wish to see the snow levels – enter DTF3 as a password. Yeah, that’s a good tip! Just finished it! I’ve found getting to the end of this one a real challenge, much more so than anything else I’ve played for DGC so far. Level 12 was a nightmare – that jumping section that you have to do right at the end of the level got me time after time. When I eventually did manage it, I only then discovered I needed the key I’d just used for later on and had to start the whole level again! Part of the problem was the difference between this and Prince Of Persia in timing, I was always jumping too early. The ending boss on the other hand was a real let down – I got through that on the first attempt and didn’t even figure out the strategy at first. It needed a more climactic battle to round off the end of the game. It’s curious how little was introduced after the early levels in terms of new enemies or items. Near enough every game mechanic was there from the fist few levels. Other than the bit on level 12, the level design built really well on my slowly increasing skills and was extremely fair. I wouldn’t say the 17 levels felt short at all as a first timer. I’m sure I could play through it relatively quickly on a second attempt but beating it this first time has taken me a good number of hours. I do still prefer Flashback which has more going on in it’s world and more variety to the levels. I’m heavily biased toward more story driven games also and the story in this was clearly tacked on for the sake of it. It’s a really well put together game anyway. Not good enough to be a classic for me but extremely solid. My 32X doesn’t exactly see a lot of use so I’ll give that version a go and see how it compares.